Got application questions? Check out the FAQ. Our goal was to import a simple, powerful idea for making cities better — the protected bike lane — into the United States. Our strategy was to find cities that already wanted to build protected bike lanes and help them do so better and faster, so they could serve as examples to everyone else. Now we’re moving to the next step in making U.S. cities and towns smarter: the network. 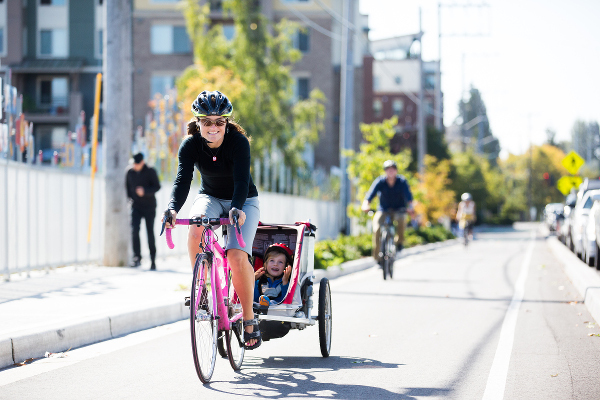 Everyone agrees that connected, high-comfort bikeway networks can make bicycling an ordinary part of life for many more people. But U.S. cities have a very difficult time connecting them. There always seems to be a block or two where auto parking would need to be relocated, or where an expensive stoplight or retaining wall would need to be installed. When obstacles like these arise, push comes to shove — and bike transportation often gets shoved aside. The result is that networks go unbuilt, business districts remain auto-dependent, cities keep choking on their own traffic and healthy physical activity keeps falling. Escaping this trap will require an innovative leap — a collective realization by U.S. cities that smart, rapid changes to create connected high-comfort bike networks of protected bike lanes, off-street paths and bike-friendly side streets can rapidly change the way that neighborhoods or districts work. 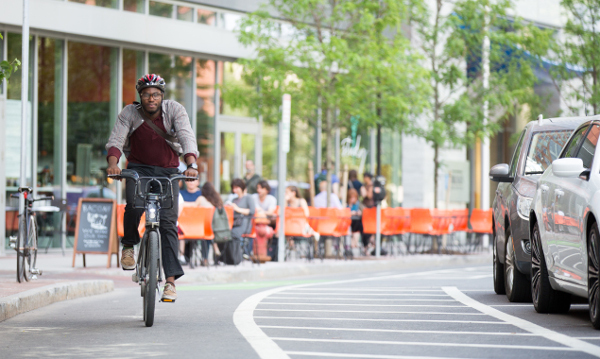 Just as the cities that pioneered protected bike lanes are now seen as national leaders in street design — New York, Portland, D.C., Chicago — the cities and towns that bridge the gaps between bikeways to create working networks will lead the next generation of change. The Big Jump Project is here to help your city or town be one of those national leaders. You can read about the application process here. Unlike the Green Lane Project, its predecessor, the Big Jump Project will focus on smaller geographic areas: a single neighborhood or district in each city. This summer and fall, communities will apply. We’ll choose 10 of them: Some big cities, some suburbs and some small towns. 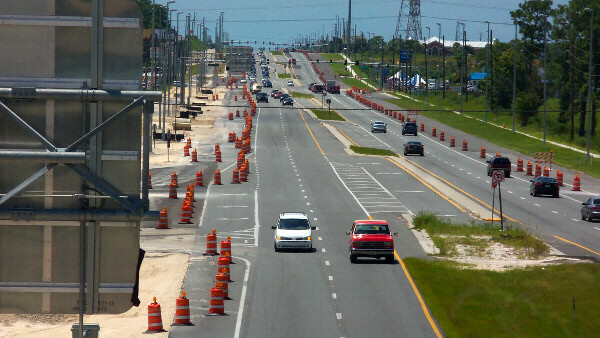 County governments working in unincorporated communities are welcome too. Then we’ll work with those cities to select a focus area, about the size of a ZIP code and including perhaps 30,000 residents, where a series of quick investments in a bike network could double or triple bicycling by 2020. Then we’ll use leadership development, supported study tours, targeted grants, peer exchanges and newly developed measurement tools to help build those networks and prove that they work. 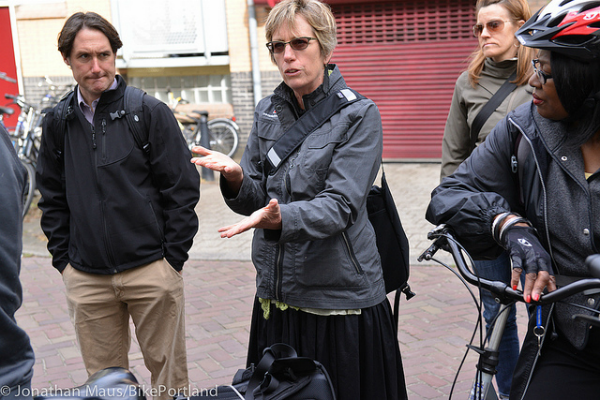 Staffers in the 10 cities and towns selected for the Big Jump Project will get access to the country’s best wisdom on bikeway planning and design, trips to national conferences and a national community of peers working together to solve shared problems. “I described it as therapy, grad school and summer camp all wrapped up in one delicious pastry,” said Seleta Reynolds, who led San Francisco’s successful application to the Green Lane Project in 2011 while serving as livable streets manager there, three years before being recruited to lead the Los Angeles Department of Transportation. For politicians, the Big Jump Project will help you tell the story of how biking improvements can pay off by creating more prosperous business districts, healthier and more equitable transportation and recreation, and an appealing brand that sells what’s best about your city. For local foundation and community leaders, the Big Jump Project is a rare chance to build alliances and bonds with city leaders and fellow advocates from different disciplines. Applications for the Big Jump Project opened June 28. Letters of intent (which are encouraged but optional) are due Aug. 18. The full application is due Oct. 28, and selected cities will be notified in January 2017. There are also a pair of webinars in July and August. Modern cities and towns have many challenges, but there’s never been a more interesting time to work to solve them. We hope your community will apply to join the Big Jump and help move local innovation forward.